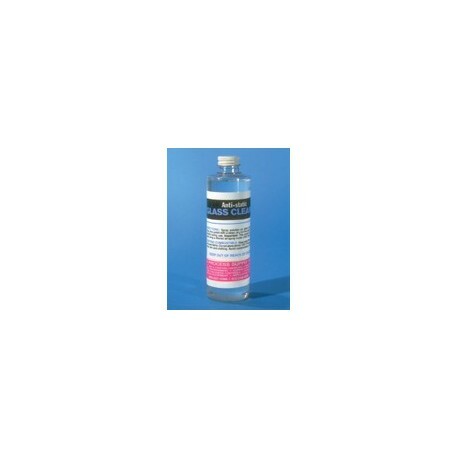 This GLASS CLEANER STATIC KILLER can be used on copy boards, lenses, darkroom and vacuum frames, stripping tables and glass print cylinders of diazo type. Insures optical clarity. Non-abrasive. Leaves no residue or streaks. The anti-static action keeps dust and dirt away from the cleaned surface eliminating pinholes on negatives, saving valuable opaquing time. Sold individually in 8 oz bottles.